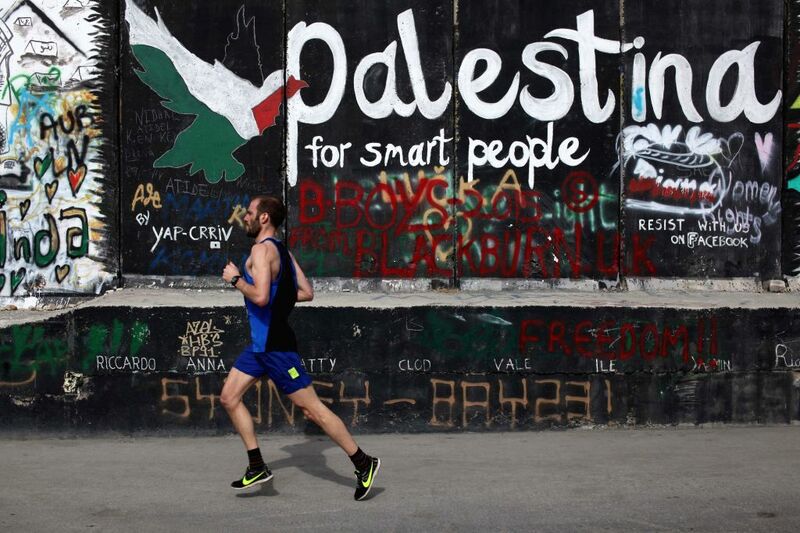 BETHLEHEM, March 27, 2015 - A participant runs next to the controversial Israeli barrier during the 3rd Palestine International Marathon in the West Bank city of Bethlehem on March 27, 2015. 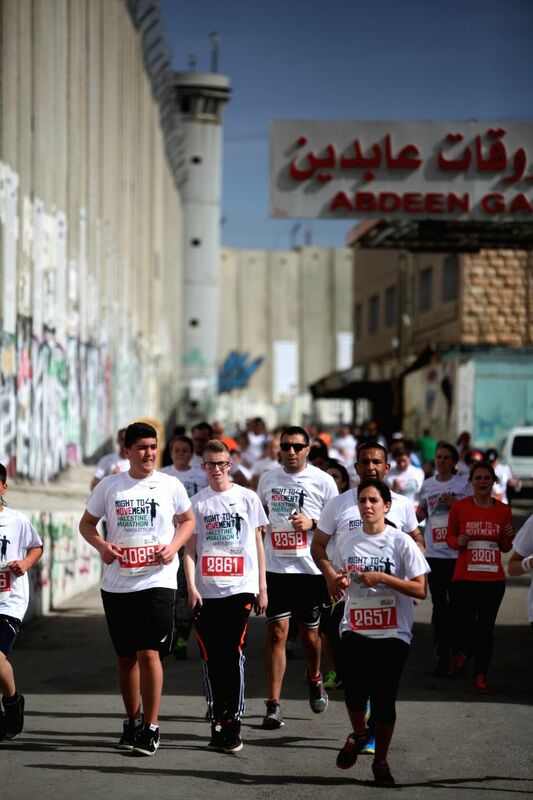 About 3,200 runners participated in the marathon this year, including about 750 foreigners and about 46 participants from the Gaza Strip, who participated for the first time. 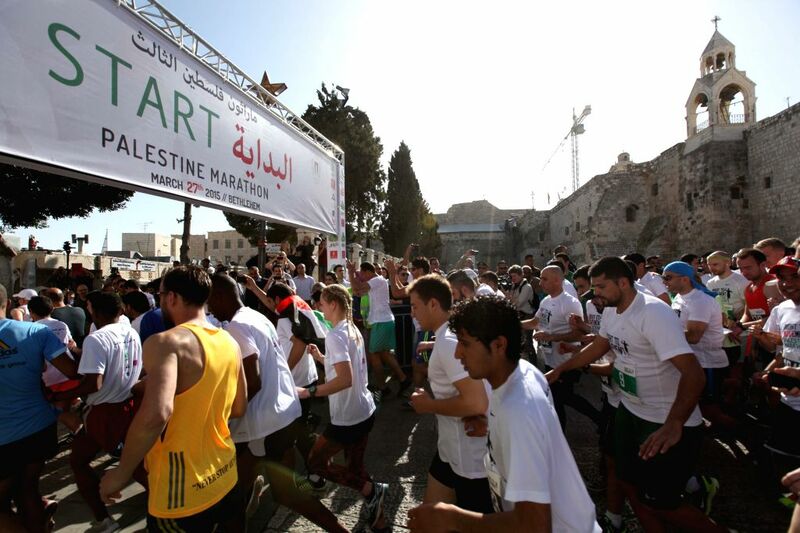 Participants run next to the controversial Israeli barrier during the 3rd Palestine International Marathon in the West Bank city of Bethlehem on March 27, 2015.